Last Sunday, three of our team members rocked Fleet Feet Sacramento’s 10th Annual Blue Diamond Almonds Shamrock’n Half Marathon. It was the perfect day for a PR. Cody ran down a personal best with a finish time of 1:33:01, while Ashley and Aaron completed the day with their first half marathon finish in the books. It was a super fun experience and we look forward to our next half. The post Team Webconnex Participates in the Shamrock’n Half Marathon appeared first on Webconnex. 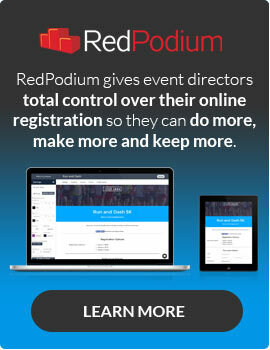 RedPodium is the simplest and most effective way to register people for your race, marathon, cylcing event, 10k, 5k or any other sporting event. Our web based software puts you in control of ever single feature and option and lets you keep 100% of your registration fee.